So we finally got saddles! As there is so many kinds of them would be awesome if we share what saddles we found. Dema made pretty useful guide about new Saddles You can all find it here - Saddle Galore Guide! But it's awesome! Thank you! Does birdie eat the summons? It is! In Godlike category! Forum event for new year where we can pick a saddle of choice would be awesome :* make it happen Lilpwnd! Please! what about the Panda Saddle? 100% chance for a big hug? 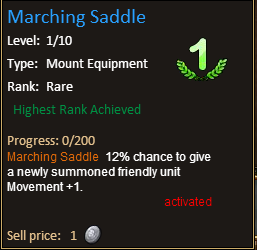 Its not so easy to get gl saddle to lvl 10. As I know it would cost around 30m + fusing materials or something like this. A permanent horse event would be lovely now.. Can't afford to be spending 600 gold a month on having a horse. 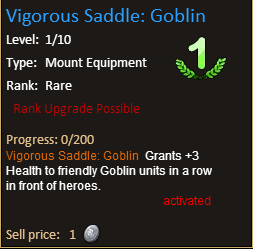 People will struggle to get Godlike Saddles Level 10. I believe it's just for the wait time. So you don't have to spend any gold but it will take you a lot of time if you wait because some saddles can take hours, while some can only take 20 minutes. In guide Demas made for us it states that maxed epic saddle has 100% to summon godlike creature each turn. Then we have maxed legendary saddle that has only 20% to summon godlike creature each turn. 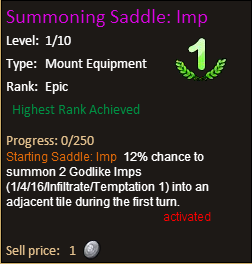 End then theres is maxed godlike saddle which has 100% to godlike summon creature only at 1st turn. 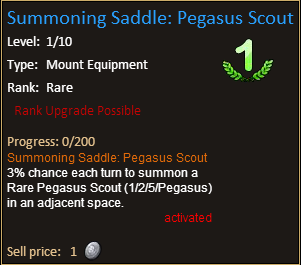 Crafted epic saddle says it summon only at 1st turn, however I have no idea if it changes when you upgrade it.